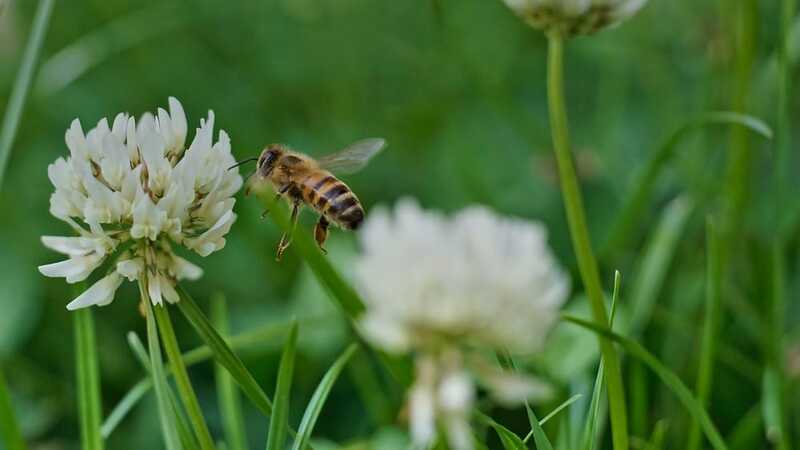 Gellert’s Climate System for Bees is perfect for those Commercial or Sideliner Beekeepers that want to decrease Bee Overwintering Mortality Rates, decrease feed times, and allows the Bees to be brought in earlier in the season. This means Bees can go into storage in October or earlier if needed. A storage approach also combats vandalism and gives more control to a Beekeeping Operation. 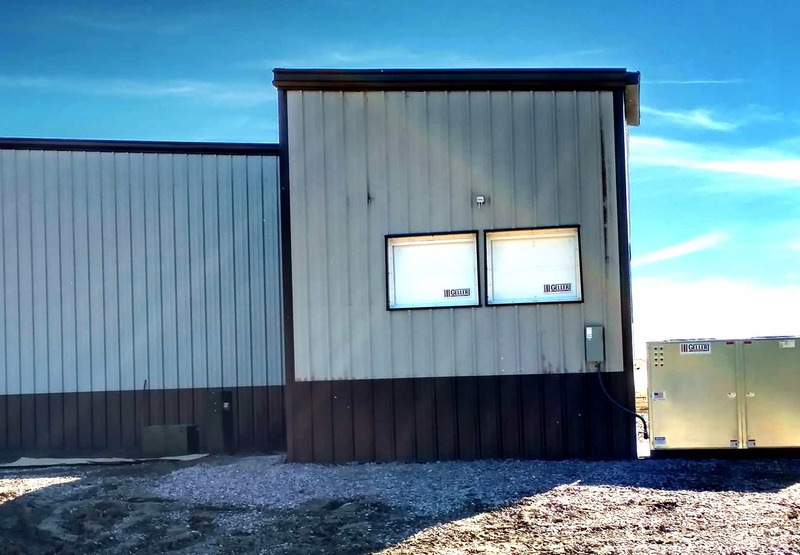 The System for Bees is perfect for new buildings and Gellert offers a retrofit option for existing buildings. 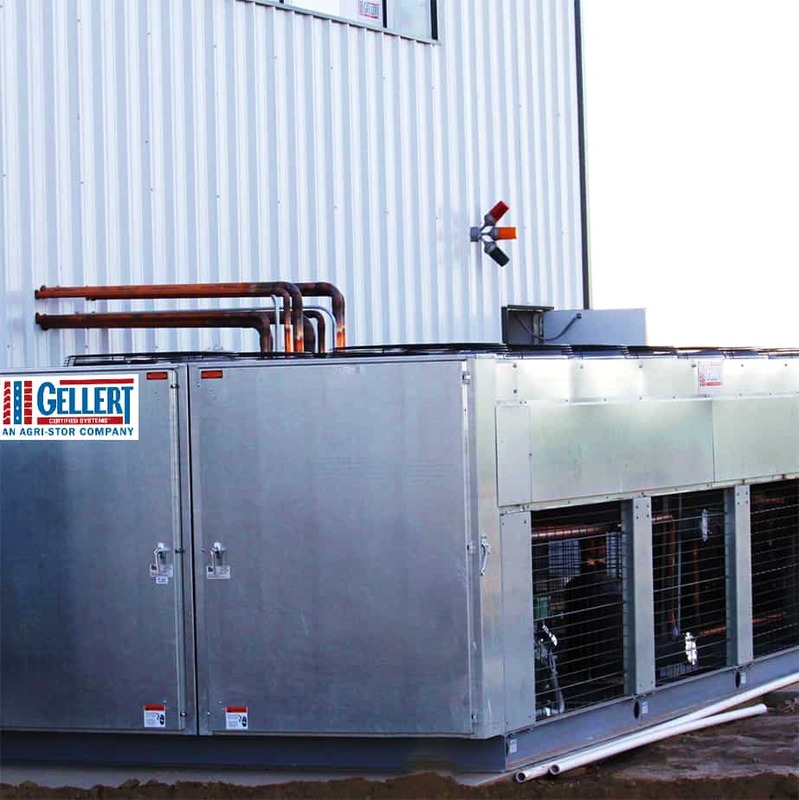 In select areas, Gellert Dealers are service providers and will help you manage the system throughout its life. Gellert can also help provide best in class service providers that will take care of you as well. For almost 60 years, we have realized the importance of using quality equipment and design in all industries. 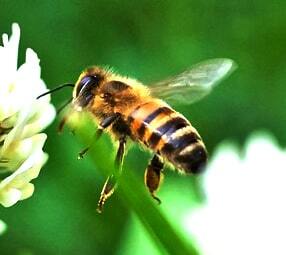 Successful overwintering means Colonies return to pollination in better shape and with minimal feeding. You have 24/7 365 days a year access to your Colonies through the intuitive Gellert Control App. The wireless solution is redundant and offers easy-to-use control features that keep you in the know. 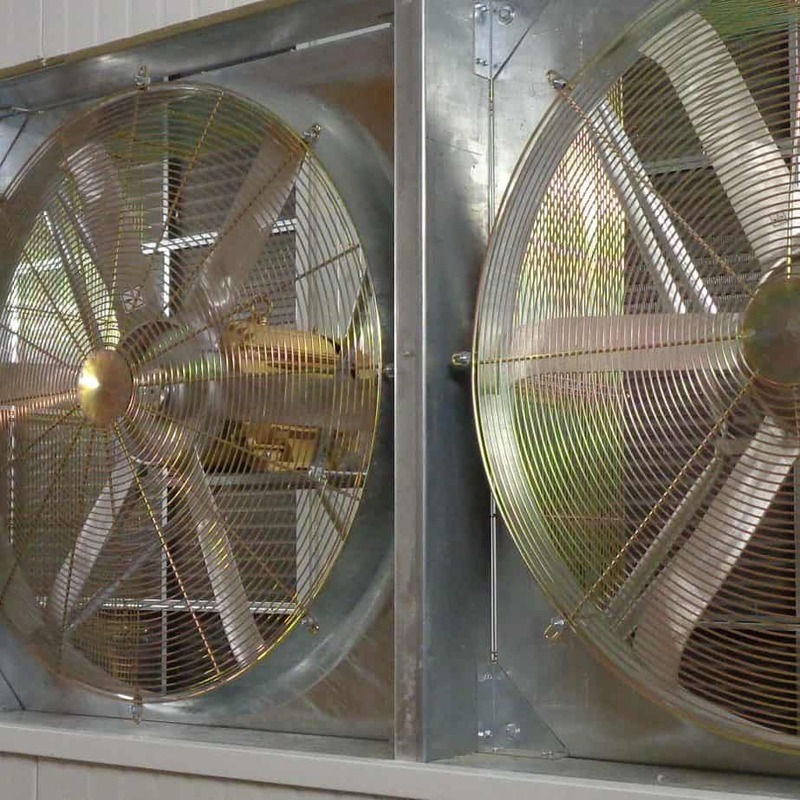 The Gellert System begins by filling your building with air using high velocity fans down a segmented plenum. The air’s purpose is to create a climate and manage temperature and humidity and extract CO2. Outside air is consistently evaluated for efficiency opportunities. 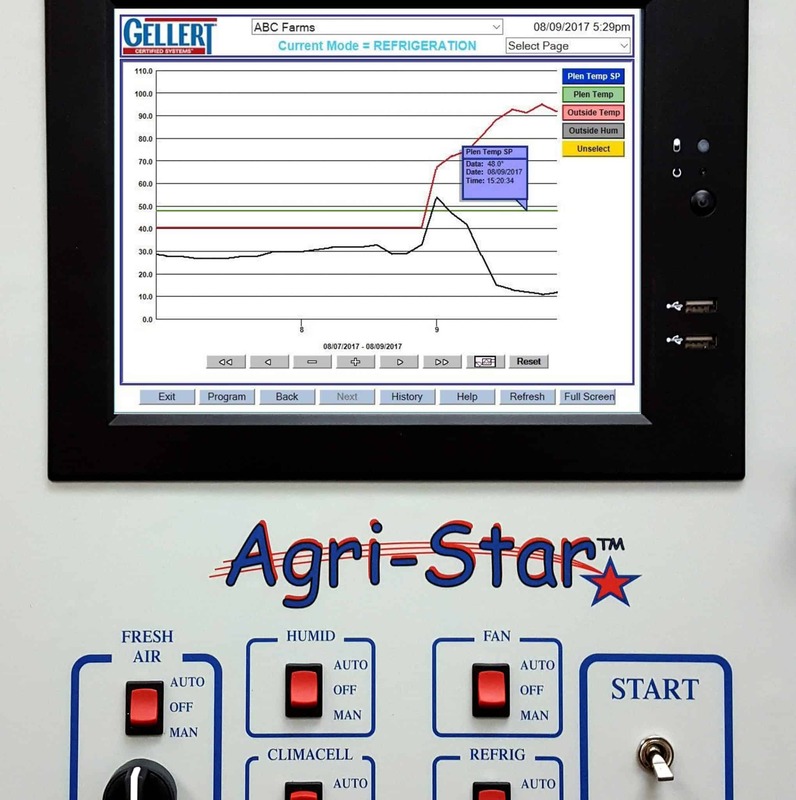 If the temperature is cold enough, Fresh Air Doors provide access to the outside air, if outside air temperatures are too high, The Gellert System takes control and engages Refrigeration equipment. Here is where it gets exciting! Our equipment will give you the perfect Climate to keep your Colony ready to connect with nature in its own amazing way. High Performance fans carry the climate and wrap it around each. High heat is in Colonies are easily managed. See more on our fans here. Industrial refrigeration provides a redundant solution that doesn’t fail. Fresh Air doors open and close taking advantage of available climate conditions. When money can be saved, the Fresh Air Doors make it happen. 24/7 365 Wireless Controls let you sleep at night. Visit our Controls Solutions page here. Gellert keeps you covered and realizes your investment is huge. 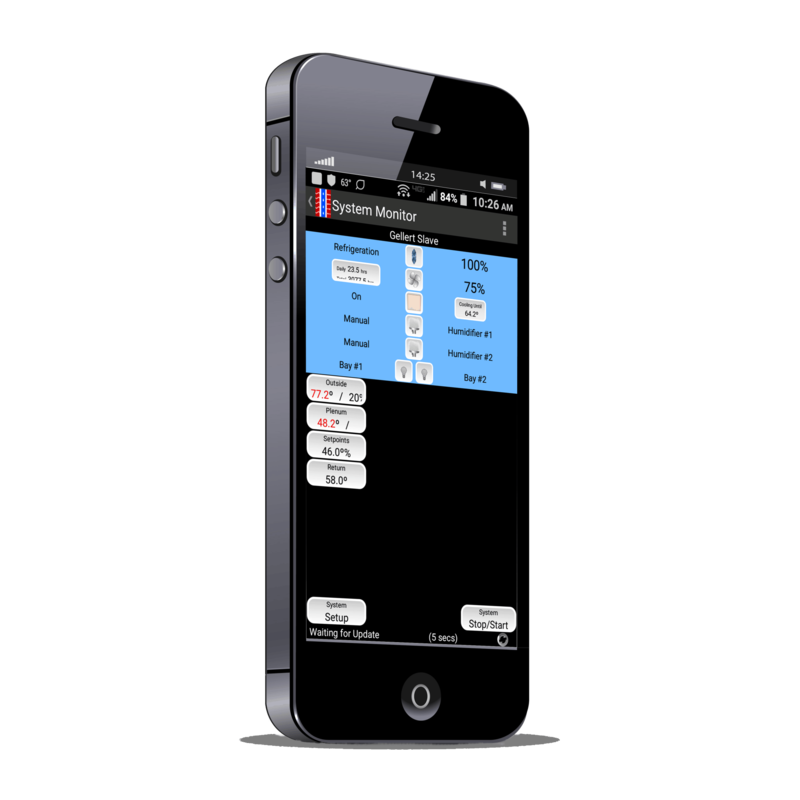 With the App, you will take and continue to have 24/7 365 control and access to your Bees. This adds security, peace of mind and perfect control over your entire Beekeeping’s Storage operation. But perhaps the MOST exciting element for your bee storage is that it constantly controls CO2 levels….allowing for Gellert’s Climate System to engage, to manage CO2. Have you considered the need for new or “boosted” Internet access for your storage? With GELLERT WIRELESS, we can solve a surplus of technical issues and save you money too! We have wireless solutions providing internet services with a standard or tailored solution to both small and large operations. Some challenges you might face are: poor signals, multiple internet lines fees, cable running through large areas, lag time at key panel communication points, bot attacks on web servers, and dropped firewalls. GELLERT WIRELESS is the answer to all these issues and more! See our Wireless Solutions page for the full detail on this product offering.